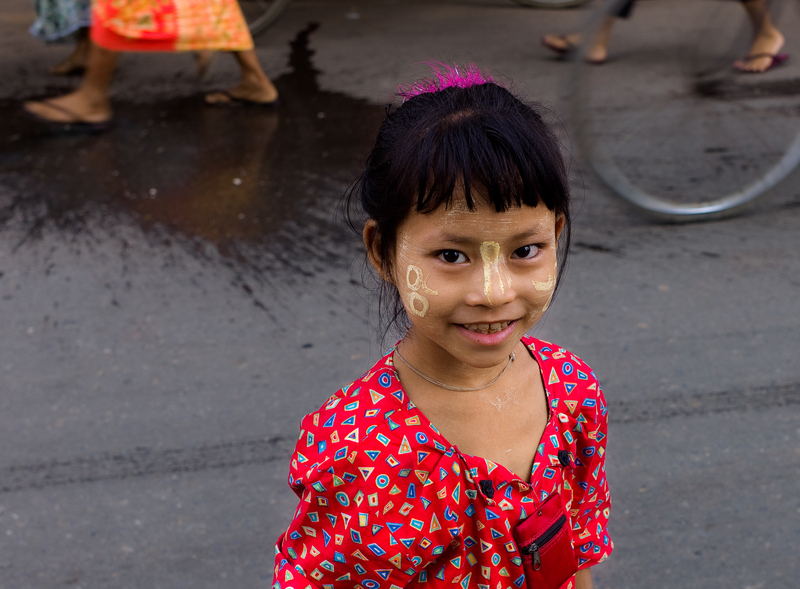 I recently had an opportunity to travel to Myanmar. It is just opening to tourists after being essentially closed since WWII. The military has governed (using that term charitably) most of that time repressing all opposition and otherwise living apart from the general population and controlling all the wealth. The rest of the nation mostly lives as it always has. Today it is one of the most impoverished nations in Asia but that only means a lack of material wealth, not the kind of desperate living on the street and scavenging in garbage dumps for things to eat and wear found in other places. We didn’t see beggars or people crushed by poverty. It is a fully intact society frozen in time in one of the richest Buddhist cultures anywhere (rich in a spiritual, not material sense). For now, taking a tour is unavoidable. The food is excellent but you have to know which restaurants to pick. Paying for anything is very difficult because credit cards are not accepted and US currency can only be exchanged for the local money at some places and they only take crisp new unwrinkled dollars. There are excellent hotels but getting a room can be difficult. This was a photo tour led by a guy (Karl Grobl) who specializes in photographing Asian people particularly in remote areas or places affected by a disaster. He mostly works for humanitarian organizations but leads a few photo tours to fill his schedule. His style of shooting is interesting. He shoots hundreds of photos then sends them via the internet to clients who select shots to use and do all the post processing. It works best to shoot jpegs. Limited internet access and bandwidth makes it impractical to send raw files. He carries two DSLRs, one with a zoom telephoto and the other with a wide-angle zoom. 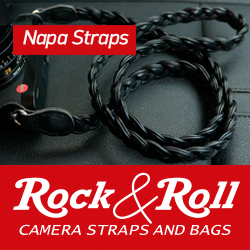 He clips these cameras on each side of a belt designed to carry cameras. That enables him to quickly grab either camera and get a shot of any scene he may encounter. He currently shoots Nikon D3s because of its high ISO quality and ability to get a rapid sequence of shots. He has adjusted the camera to get the saturation, contrast and sharpening he wants in the jpeg then sends the batch as it comes out of the camera at the end of each day or as soon as he reaches a place with internet access. I took a DSLR but shot raw. I also took a Leica M9 mostly to try it out and to see if it would work better in some places like walking around a city or village. It worked great in those situations. The DSLR was indispensable in many other places like inside dark temples, when a very wide or long lens was needed, or in rainy weather. I first tried the Leica in a market where I figured it would not be a big loss if the shots were not as good as the DSLR and ended up with some of my favorite shots of the trip. Some of those shots follow. 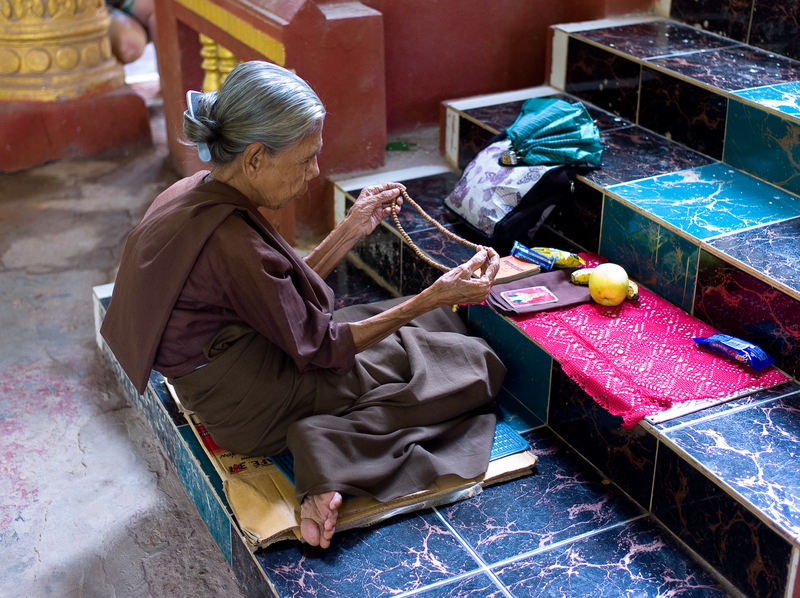 The first is of a lady who spends hours every day sitting before a statue of Buddha in a monastery. Buddhists don’t worship Buddha. They practice good karma because that is what enables them to live a better life in the next reincarnation and with enough good karma one can escape the cycle of birth and rebirth. They revere Buddha for teaching that and revering him is itself good karma. 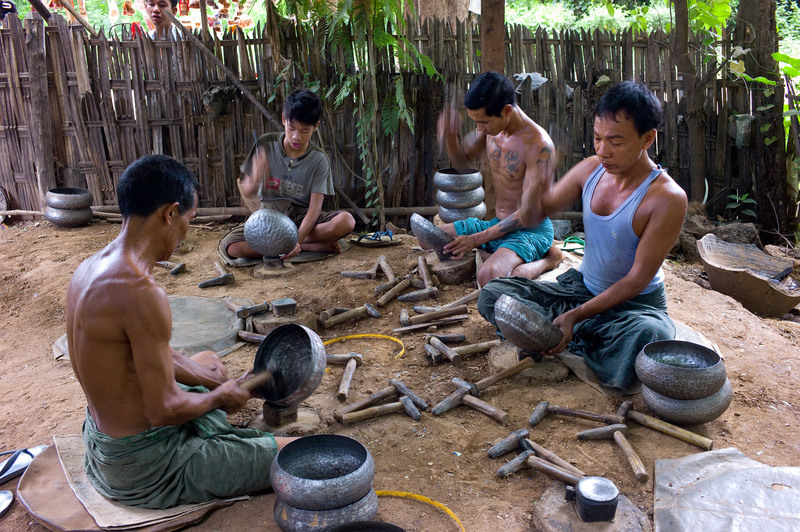 The next shot is of men making the alms bowls that monks carry to collect food. Lacking automation, these guys take lids cut from the top of used oil drums and beat them in the bowl shape with hammers. This is literally the main shop of the biggest bowl maker in Myanmar. Once the bowl is pounded out it is painted with a thick lacquer and fitted with a lid and handle made from bamboo. 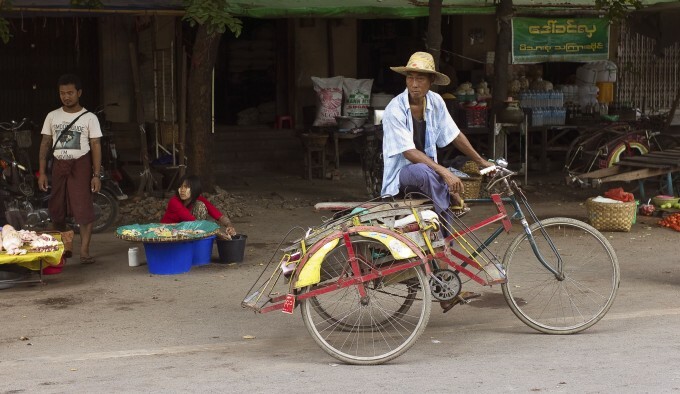 The next shots are scenes from a typical city marketplace. 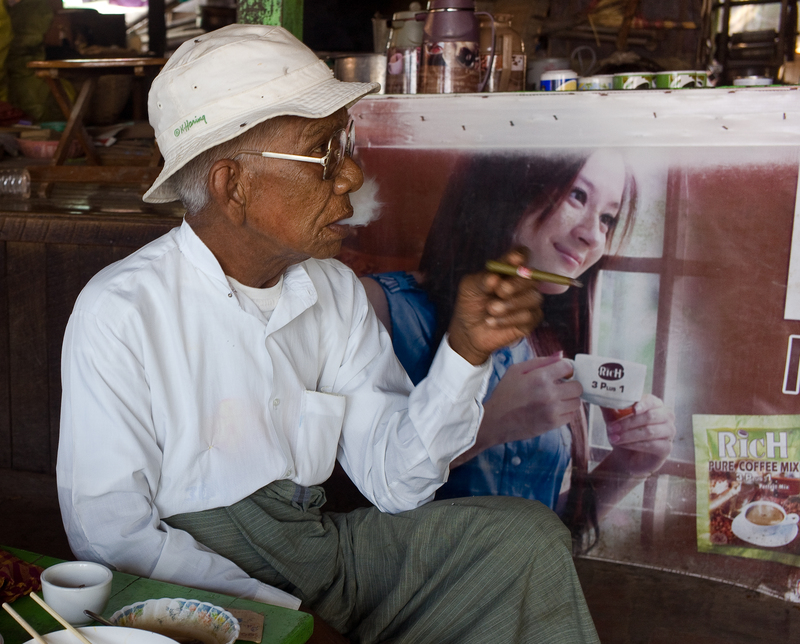 The old guy has just finished his morning soup and is enjoying a cigar watching a soap opera. The guy on the large tricycle is a typical delivery man. These are the equivalent of a delivery van in a modern city. The girl was probably on her way to school. The decoration on her face is a kind of wood dust made into a paste. For her it is makeup but for most people it is a kind of sunburn protection. 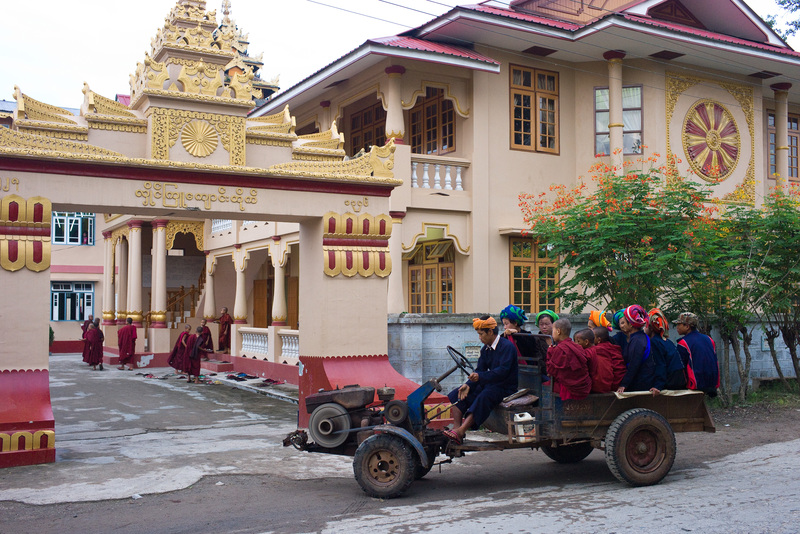 The last shot shows a kind of truck used for just about everything outside the cities. I was told it is made in China. These haul people or other loads. The bed can operate like a small dump truck. This one is delivering people to a monastery in a small town in the center of the country. Btw, when did you travel to myanmar? i’ve recently heard some riots in central myanmar. How does it effect tourists? Thanks for your comments. I was there in the fall of 2011. If you get a chance to travel there I would not hesitate because of internal conflicts. There is a lot of conflict but mostly in areas where ethnic or religious minorities live. It has been going on for a long time and travel is not permitted into those areas. Some areas are controlled by a particular ethnic group and are inaccessible. The main tourist areas are Yangoon, Mandalay, Bagan and Inlay Lake and they were quite safe when we were there. I enjoyed your pictures. As already mentioned, Burma hasn’t really been closed to tourism all these years, though the length of stay allowed on a tourist visa has at times been as short as 7 days. Such was the case when I visited in the mid-70’s and again in early 1988. During the latter visit, I unknowingly dropped a Yashica SLR lens (I carried an FX-3 then) in the dust somewhere within the unfinished pagoda at Mingun, near Mandalay. One of the villagers, and ancient man, found it and finally tracked me down near the boat pier to give it back to me, having walked for ages in the scorching heat. He wouldn’t accept any kind of reward, but did settle for a drink made with shaved ice at a local shop. The big blocks of ice for making the drinks were kept under a pile of sawdust on the floor! I know there is going to be times I will miss having an SLR/DSLR and a good zoom or two but I really feel the need to move on from what I have been doing for the past 35+ years. Nice to folks like Karl have modified their marketing schemes to fit today’s need for the commercial world!! He gives hope to the up and coming photographers that are wanting to cover the world. Thanks for sharing your work!! Grobl is an inspiring story. He has a degree in mechanical engineering and worked after college as a technician for a medical products company. He actually taught surgeons how to install artificial hips. He traveled to the isolated places to photograph the people as a hobby. One day he was manning a booth at a medical convention and the next booth was Doctors Without Borders. They got to talking and it turned out DWB needed photos of certain people and he had them. He gave those photos to DWB but they soon asked him to do some other shoots for them and that led to connections with other NGOs and he soon quit and turned it into his career. He loves it. It is a hard life — on the road most of the time, working at times in dangerous places, but he is living his dream and is a real treat to travel with. I appreciate the article. Hopefully next time you’ll actually research more about your subjects. You know diddly squat about what you’re talking about. “The girl was probably on her way to school. The decoration on her face is a kind of wood dust made into a paste. For her it is makeup but for most people it is a kind of sunburn protection.” — Rubbish. This is NOT makeup. Nor sun protection. Neither is it made of wood dust. Really. This is what I was told by our guide and by people who actually wore the stuff and I saw the sticks sold in the markets. So what additional research should I have done? And why the belligerent tone? If you know more about these things, and maybe you do, why not educate instead of insult? Comments like this are the reason many blogs don’t allow comments. I did not understand the tone either, George, but there is always the 10%…. I hope the percentage is not that high. Thanks to Steve for allowing comments. I often learn from competent comments but it is a drag when you have to wade through a lot of people with the blog equivalent of road rage to find them. So I did some more research. Check this site: http://www2.irrawaddy.org/article.php?art_id=21842. It reports that the stuff on women’s faces in Burma is a paste made by filing thanaka bark and mixing the dust with water and is used both for decoration and as a way to shield skin from the tropical sun especially by women working outside. So I guess I was wrong if bark is not wood but not otherwise. If George has reported something wrong, will be nice if you tell to him(and us) what is the truth. Define as “rubbish” what he reported without explain, is simply useless and certainly not educate. Nice photos these, George. Do you have a link to more of them? Just a couple of remarks though. You make it sound like Myanmar has just opened up for tourism. That’s not true, it’s been open for tourism for years. I first went 12 years ago and have been back several times since. Granted, traveling around the country has become a little easier since then (paved roads and more transportation options) but I didn’t have any difficulty in getting around. Also, tours are avoidable. In fact, independent travel (backpacking, for want of a better word!) is often better as it means more money going to the locals. Having said that, that Karl guy seems an interesting character. I’ll have to look at his work. Thanks for the feedback. You are much more adventurous than me. I mean that in an envious way. This was the first Myanmar tour I had seen but a few other companies are doing them now and I think it will soon be overrun because it is full of world class sites. I used my DSLR at those sites so I didn’t include any of those photos but the Shwedagon Pagoda and Bagan are astounding and will be much harder to enjoy when the Japanese tour groups start coming. The only money issue we found was unavoidable — money paid for hotels and transportation. We had a terrific guide and I don’t regret paying him at all. He was educated as a chemical engineer but could not find work doing that so he guided tours instead. As much as possible we used hotels not owned by one of the generals but it only worked in Bagan. As you probably know, it is very difficult to engage in any business in Myanmar if the military don’t get a cut. Karl Grobl is a very interesting guy. He has a good site with lots of his photos. Easy to find on Google. Fantastic set of images! The delivery man is my favorite…Bravo George! These pictures are incredible ! What is Leica’s secret in producing such a lens? I notice two things, 1. is their performance which no other manufacturer can compare ! 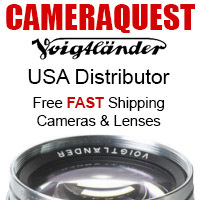 2. the barrel diameter of their lenses are always smaller than any other brand. There must be some kind of formula they keep using in their production. I can’t believe its all in the glass because other manufacturers could buy them too. Now another subject. You must have noticed that Buddhist do not worship Buddha. Yes most of the Chinese and SOuth China countries even up to Indonesia do not worship Buddha. Their religion is as old as the Torah and perhaps earlier. But through the thousand years the origin of their faith has faded and mangle with other religion like Hinduism, Islam and other occult religion. If you are interested watch this youtube clip. Chinese language goes back to the time of Genesis in the Bible/Torah! Chinese are one of the 12 lost tribe of Abraham or even before. Beautiful shots and very interesting writeup. Thanks. Hope to be in that part of the world later this year. Fingers crossed that “M” arrives in time. They have been sharpened, but not a lot. More likely the lens. Nice article, George. Love the color in these beautiful images. Especially the top one with the lady on the stairs.